Great website content is key to grabbing readers’ attention. But, with the billions of online competitors, writing content for your website may seem like a daunting task. Writing for your own website is, of course, more time-consuming, but that doesn’t mean that it has to be difficult or unsuccessful. Creating great content for your website takes consistency and adhering to a few simple rules. The first thing you need to do when beginning to write for your website is to create a buyer persona. Think about who you are writing for and get detailed about what they are expecting. What age is your target audience? How are they finding your site (mobile, desktop, search engine, through an email newsletter, through social media, etc.)? What are their problems that your product can fix? Knowing your audience is key to writing good content. Traditional writing puts your most pointed thoughts at the end of the article. 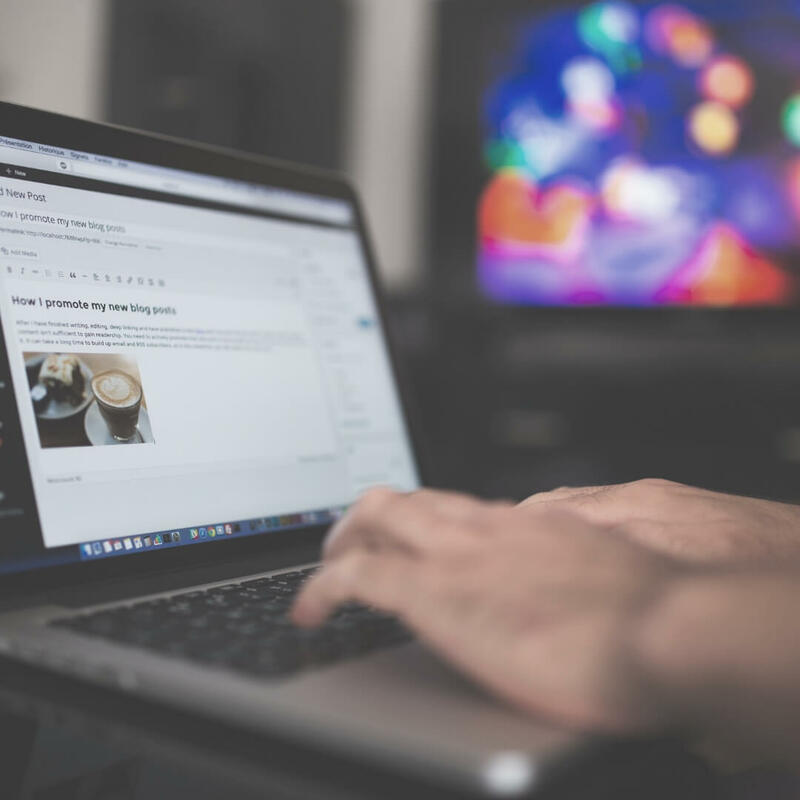 Writing for your website is completely different. Putting your best information at the beginning of your article catches your reader’s attention. If readers don’t see what they’re looking for within the first few seconds of looking at your article, you have lost them. Your web visitors want to know what you can do for them, so put that information at the top of your page. Then, you can go into all the details. Once you have a reader reading your content, don’t let them go! Link to other pages and articles on your site. For example, if your article is about social media platforms, you can link to another article about the benefits of Facebook. Linking to related content in other parts of your website increases the chances that your reader will stay on your site. Internal linking also boosts your SEO! Familiar words and phrases are also known as carewords and keywords. You should use both. Carewords are different from keywords. Keywords include the search terms people use to get to your site. In contrast, carewords are phrases people look for once they reach your site. For example, when searching for hotels in Hawaii, one might use the search terms “hotels on the Big Island.” But, when looking through a hotel website, people search for terms such as “photo gallery,” “book now,” and “special packages.” Even though you may want to change up the wording in your writing, there are some key terms that should stay the same. Use Google’s Keyword Tool to find your popular key terms and use those, not different phrasing. Even if you have wonderful content, you still need your readers to act. Call-to-actions are buttons, links, images or directions that ask customers to make a choice to interact with you. You can create a link for readers to give their email address to receive your newsletter. Or, they can enter their contact information to get a free consultation. Whatever you want your audience to do, make it simple and attractive. Want to write great content for your website? Not sure where to start? Following these five steps will make writing content a simple task!